Food pantry at Graduate Student Center in Kutz Hall. Our goal is to provide access to healthy food options for students and raise awareness about resources that are available both at Brandeis and within the Greater Waltham community. 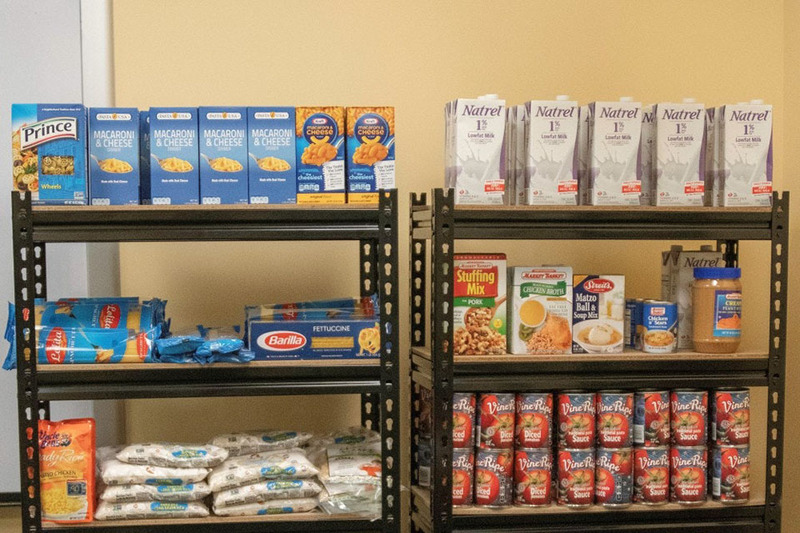 An on-campus free food pantry has been stocked with a variety of nonperishable items. Please feel free to stop by and take a few items as you need them. If you are accessing the food pantry for the first time, please complete the online registration form. The form can be completed in advance of visiting the food pantry or at the food pantry, where a laptop will be available for registration. Have extra food at your event, or struggling to find free food? Join the Brandeis Free Food Facebook group to post and receive updates about free food on campus. Subscribe to the Free Food at Brandeis listserv and receive emails about free-food events on campus. The following links provide useful information about local resources available to Waltham community members. See a list of committee members for the 2018-19 academic year.